The beginning of Ambrose Street can be seen (right) and Greenfield Avenue has not been developed, however North River Road can be seen on the far left. Greenfield Avenue, or Second Street as it was once called, was developed slightly later than Ambrose Street but like Ambrose Street, it was part of the Davies estate. Brighton Villa, the centre gabled house among the trees (left) was the main house for the Davies estate. Once George Davies, the large landowner in the area, passed away in 1890, the land was subdivided and streets were expanded or created. The Brighton Tannery, (seen above with the # 34 below it) was one of a number of tanneries in the City. Like other tanneries, it smelled foul, but when the owner, Donald MacKinnon (of Big Donald fire bell fame), built his own exquisite house in the area and shut down the tannery, development in the vicinity began. 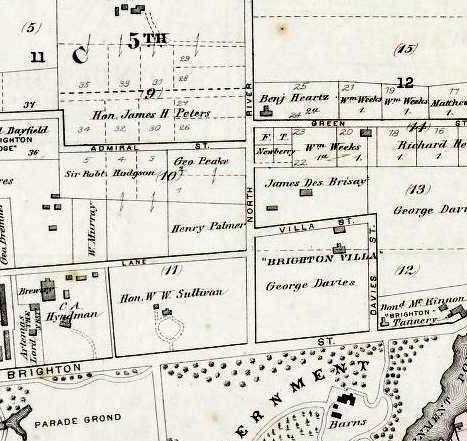 The first house on Greenfield Avenue was actually moved there in 1892 from the Brighton Brewery which was located off the Brighton Road west of Greenfield Avenue. Meacham’s Atlas (right) features the brewery on the east side. The house was remodeled by carpenter, Leo Doyle and it is not clear what it had originally looked like. Architect, James Harris and his wife, Freda would live there. 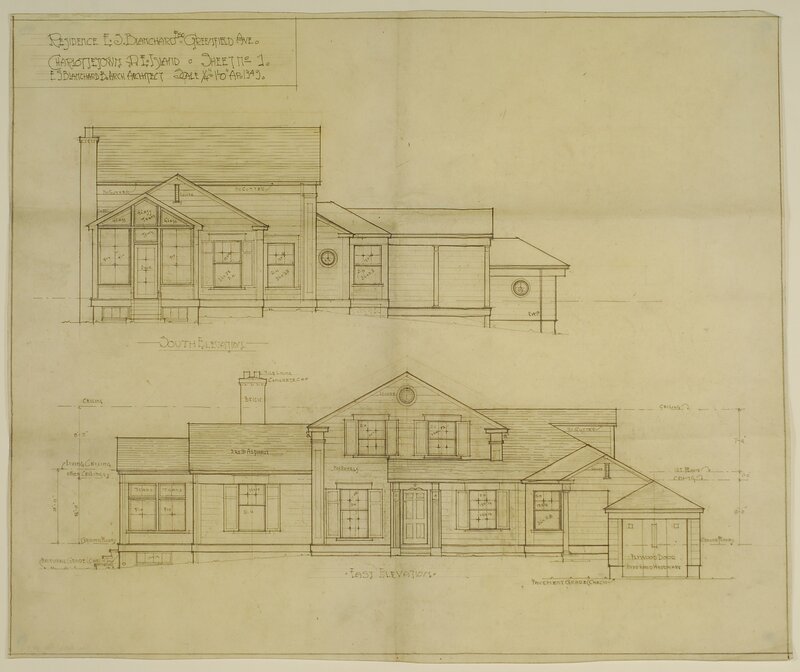 The house plan (left) is an Edward Sterling “Bone” Blanchard design for 41 Greenfield Avenue. The talented architect designed a number of houses in the Brighton area but this house was his own. Like many of Blanchard’s homes, it was in the Colonial Revival style. Leo Doyle was hired to build it. the HG Rogers/ Gordon M. Avard House and the H.E. Hyndman House on Greenfield Avenue. 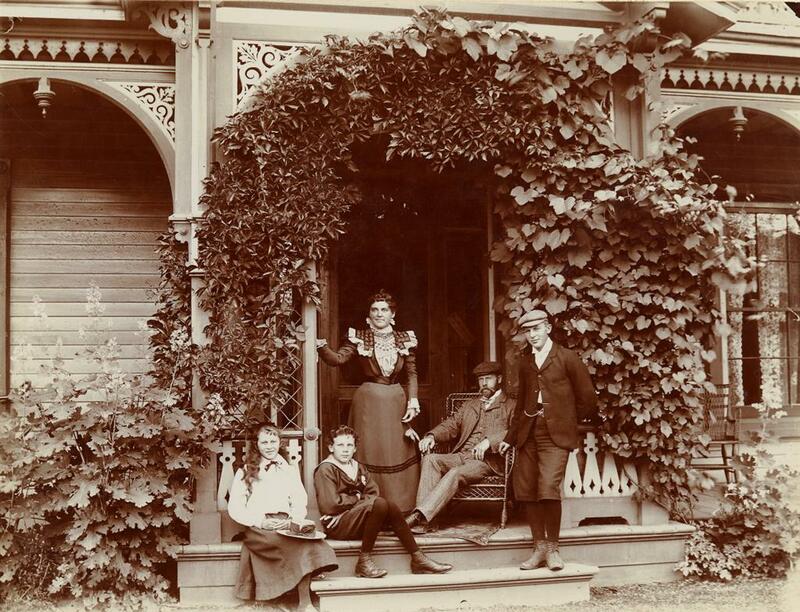 Architects, Edward Sterling Harris (seated left) and David Stirling seated right in chair) at the family home. A photograph of E.S. Blanchard taken when he was a boy features another famous architect, David Stirling, sitting on the porch with the family. Stirling was Blanchard’s step grandfather and it is likely that Edward’s middle name was in honour of Stirling. Another resident of Greenfield Avenue was James Harris. He and his family lived in 8 Greenfield Avenue. 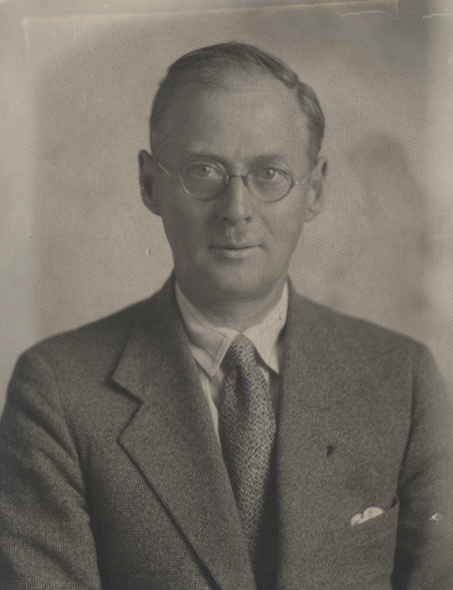 The nephew of W.C. Harris, he graduated from McGill in 1912 with degrees in architecture and mechanical engineering before joining his uncle in practice in Halifax and later Prince Edward Island. James Harris designed a house further up the street at 84 Greenfield Avenue for him and his wife, Freda (Haszard) Harris in 1946. At the time, he was living down the street at 10 Greenfield Avenue. He hired Vail Bros. to construct the house that was expected to cost $6500. Vail Bros. built a number of homes in the City of Charlottetown. Examples of their work can be seen throughout the Greenfield Avenue and Ambrose Street area.